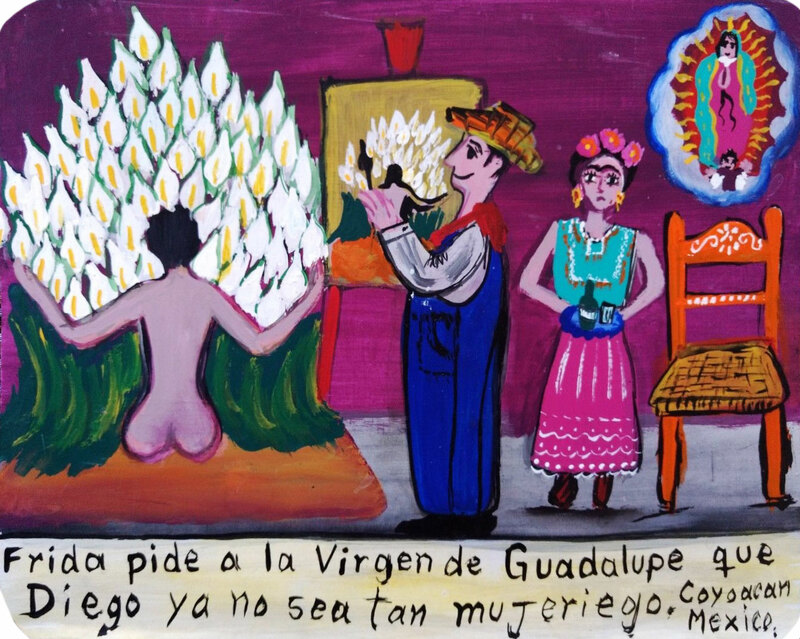 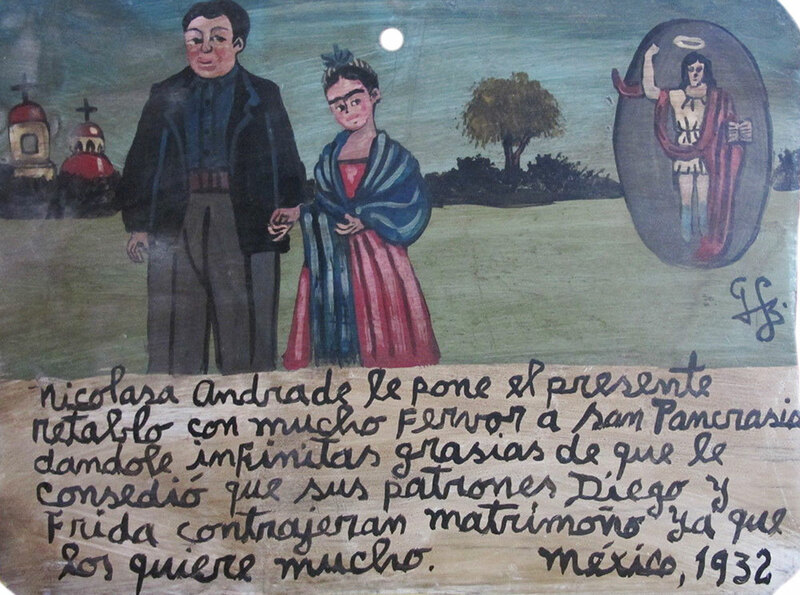 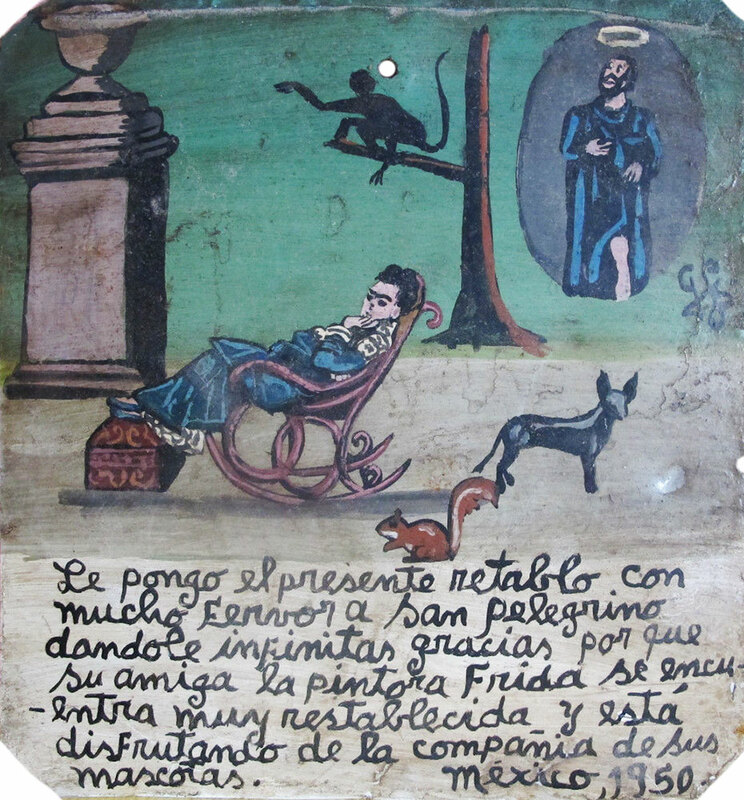 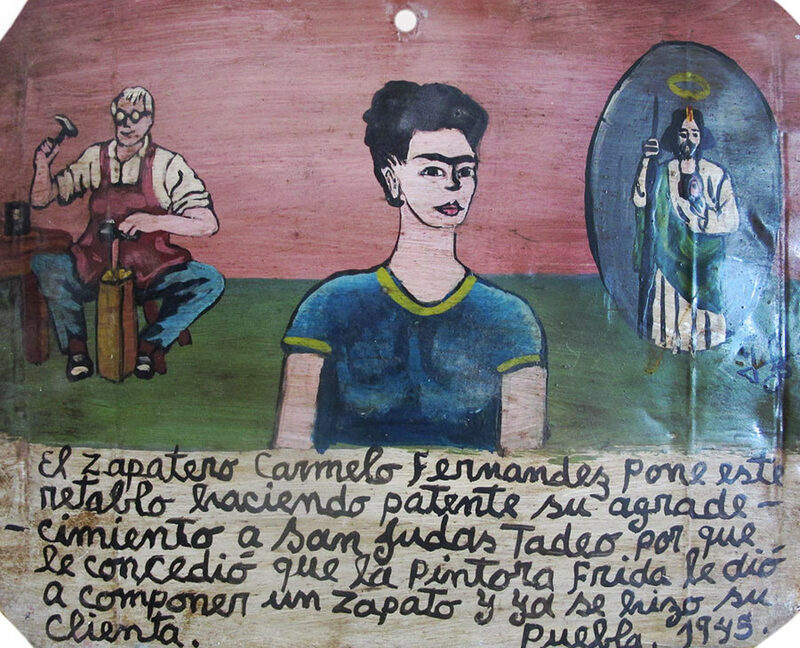 Nicolasa Andrade brings the present retablo to Saint Pancras thanking him infinitely for her masters Diego and Frida contracted marriage because she loves them very much. 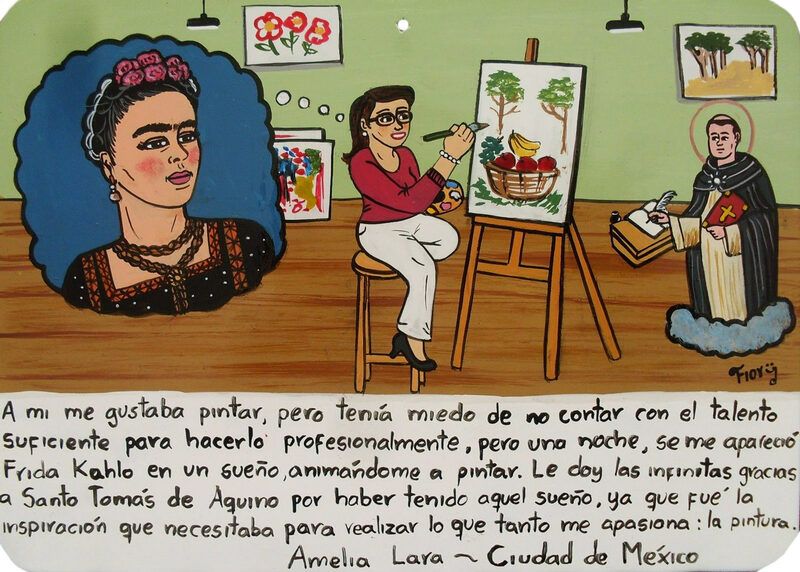 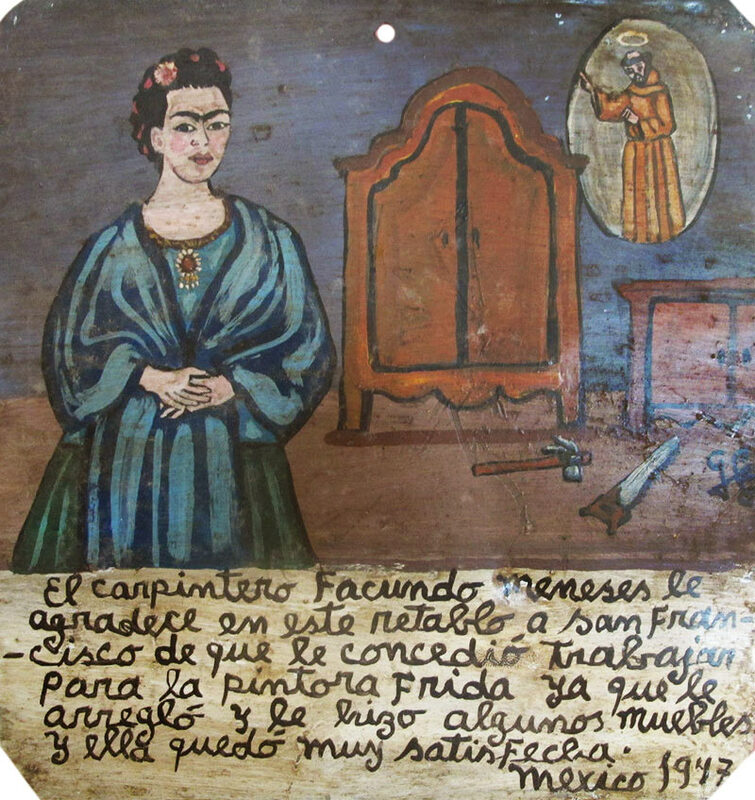 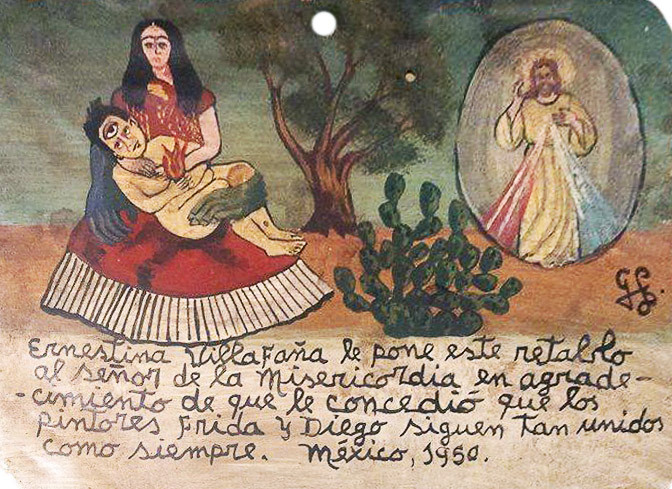 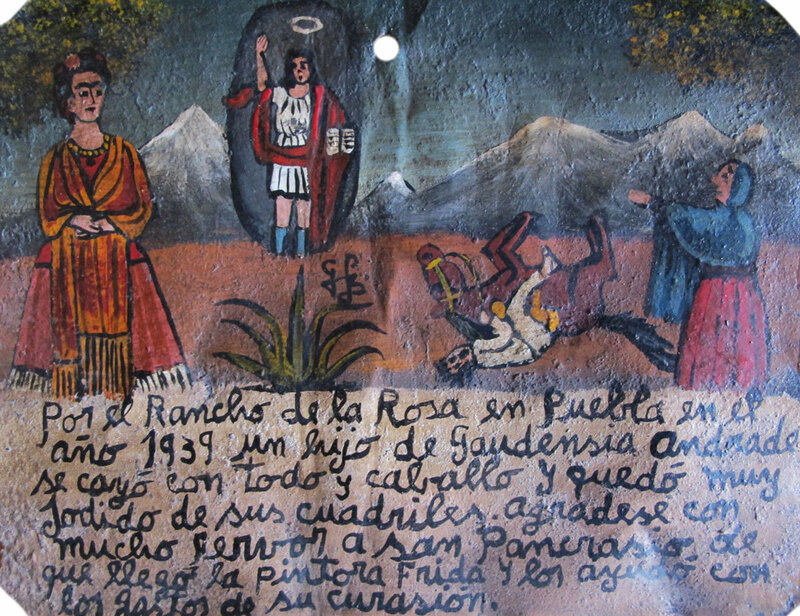 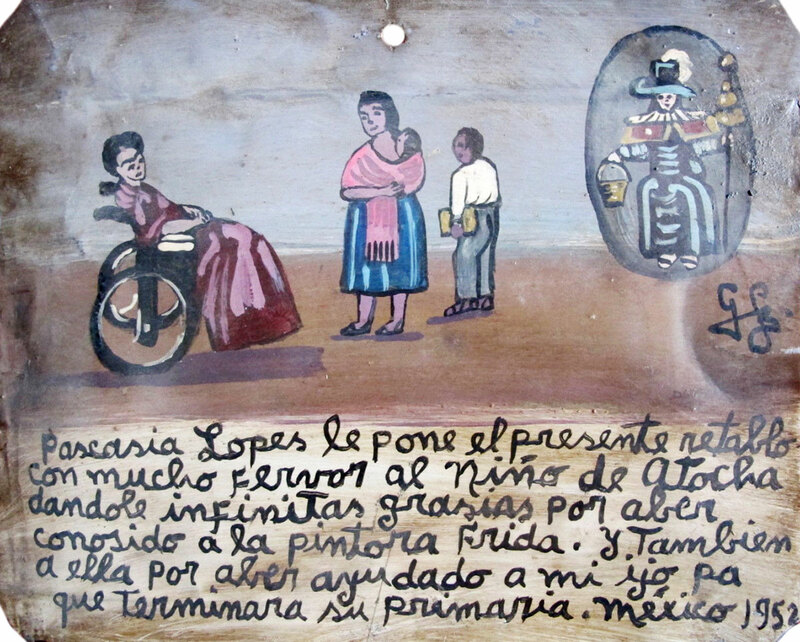 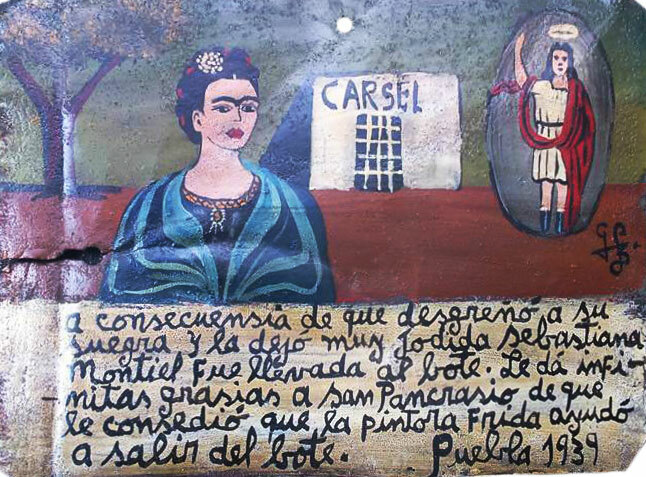 Ernestina Villafaña brings this retablo to the Merciful Lord thanking him because the artists Frida and Diego keep staying together as usual. 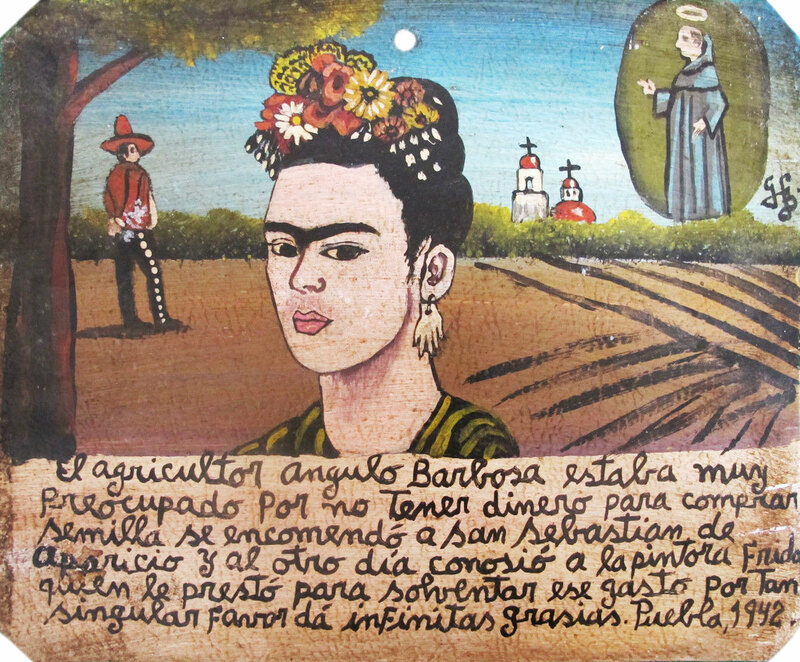 now, when you’re bald, I love you not. 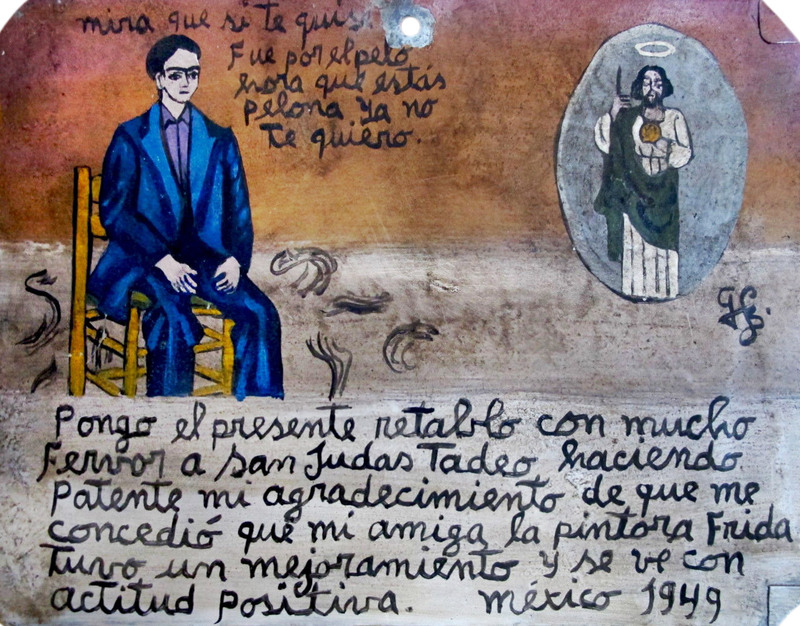 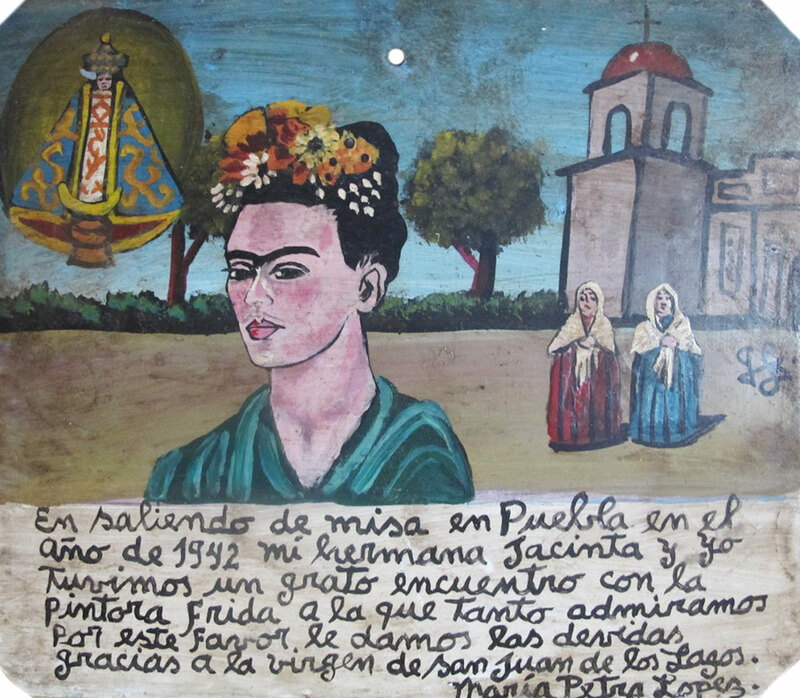 I bring this retablo to Saint Jude Thaddeus in gratitude for my friend Frida, the painter, has got an improvement and is having a positive attitude.